4	stars -	"Review for Custom Made to Measure Performance Exhaust System for Holden Rodeo 2.6L EFI Petrol" Dale Carter This Custom Made to Measure Performance Exhaust System for Holden Rodeo 2.6L EFI Petrol is the best Holden I have tried. 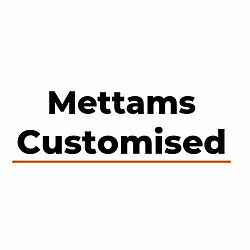 Mettams Mufflers can custom build a performance exhaust system for your Holden Rodeo 2.6L EFI Petrol. We do it every day for many makes and models. We do this in our workshops in Morley, Midland and Kelmsott. Note: We do not guarantee that the prices shown on the site are current for the given products, we attempt to keep all prices as up to date as possible.